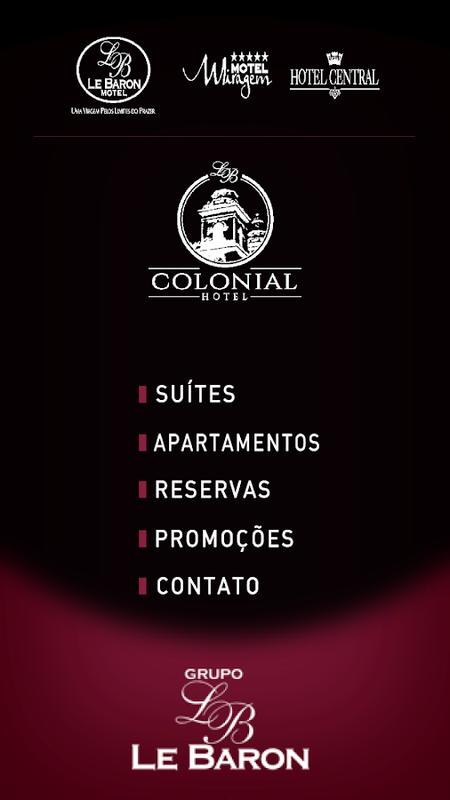 App Grupo Le Baron!Veja as suítes disponíveis, Escolha seuapartamento,Faça sua reserva no App!Instale agora!App Group LeBaron!See the suites available,Choose your apartmentBook inApp!Install now! 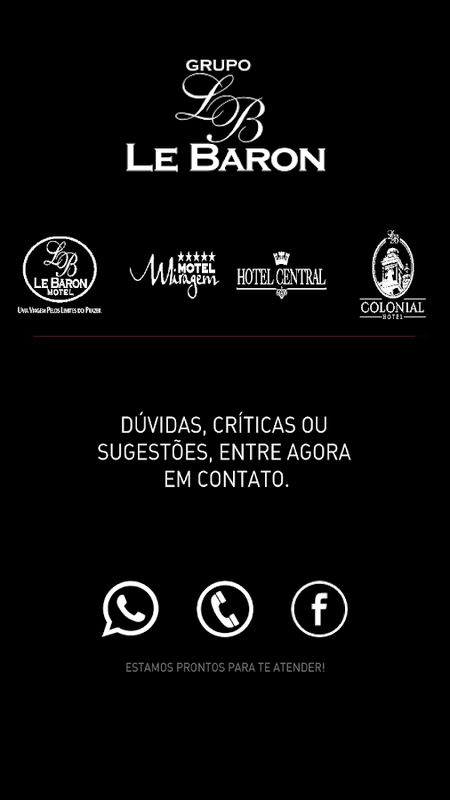 Nosso APP conta com vários Produtos pra quem gosta de 4i20. BaixeAgora confira nosso modelos de BONG, NARG, ESSENCIAS, BOLADORES,DIX, ETC.. Alem disso curta nossa Page no Face e chama no Whats...Baixe agora.Our APP has several products for those who like 4i20.Download Now check our models BONG, NARG, ESSENTIAL, BOLADORES,DIX, ETC .. Besides short our Page on Face and calls on Whats...Download now. Baixe o App: Roby Lanches!Faça seu pedido, curta nossa Pagina!RobyLanchesFique por dentro das novidades!Download the App: RobyLanches!Place your order, short our Page!Roby LanchesStay on top ofnews! 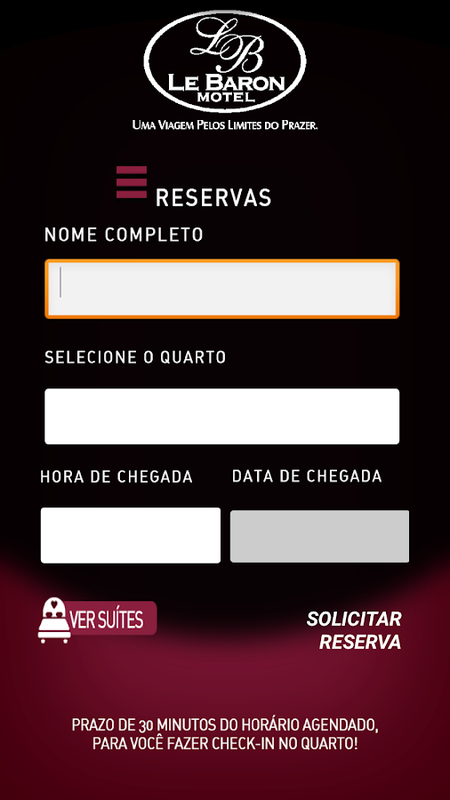 Porto Táxi App!Enviamos o motorista mais próximo à você!Cadastresua Agencia aqui!Port Taxi App!We send the nearest driver toyou!Register your agency here! S3 Notícias é um jornal digital, fundado em 1º de julho de 2015,destinado a publicar reportagens, análises e comentários sobrefatos de interesse do público situado na região do polígono SãoCarlos, Porto Ferreira, Ribeirão Preto.O jornal S3 Notícias leva avocês os fatos políticos, econômicos, ecológicos, policiais,esportivos, culturais e sociais da região.S3 News is a digitalnewspaper, founded on July 1, 2015, for publishing reports,analysis and commentary on events of public interest located in thePolygon area São Carlos, Porto Ferreira, Ribeirao Preto.Thenewspaper S3 News brings to you the political facts, economic,ecological, police, sports, cultural and social region. Instale e calcule agora seu seguro automóvel ouresidencial.Installnow and calculate your car or home insurance. Aplicativo de Investimento Unick Forex Retorno de 100% valorinvestido em até 6 meses. Crie seu cadastro, comece investindo R$99. Unick Forex Investment Application Return of 100% valueinvested in up to 6 months. Create your account, start investing $99. Agilidade, Segurança e Rapidez? Instale 24 Horas Moto e Taxi!Agility, Security and Speed? Install 24 Hours Moto and Taxi! The Outdooractive Premium App is the best companion to take on yourhiking or biking trip or any other outdoor adventure. Enjoy theoutdoor route planner, digital maps, offline storage, emergencycall function and GPS navigation for on-site use. The app grantsyou access to the best trails worldwide and lets you easily planyour own trips.Exact outdoor maps which can be saved offlineprovide you with the necessary information on hiking or bikingtrails, via ferratas and protected areas as well as details forother outdoor activities.Apart from reliable GPS and voicenavigation a lot of safety features such as the emergency call,compass, peakfinder, barometer and inclinometer or a preciseweather forecast increase your safety when outdoors.TheOutdooractive Premium App is the ideal tool for active naturelovers and the perfect connection to Europe’s largest outdoorcommunity.Worldwide trail database:Browse our large trail databasefor more than 30 outdoor activities like hiking, cycling,mountaineering, cross-country skiing or snowshoeing. Discoverpopular trails near you, classic adventures or insider tips fromcommunity members. All trails & tours contain lots of traildata, maps, elevation profiles, pictures and a GPS-track.Outdoorroute planner:Regardless of the activity, with our popular routeplanner you can plan your trips and routes corresponding to yourindividual demands. You can add text and pictures, publish them inthe community or keep them private by just sharing them withfriends.Store trails & maps offline:Download trails and digitalmaps directly to your smartphone and store them offline. Beperfectly equipped for your trip to the mountains, a foreigncountry or a region with poor network coverage.Record your ownroutes:The tracking feature enables you to record your own routesincluding duration, distance, altitude and elevationprofile.Exclusive outdoor maps:Always stay on track with ourdetailed outdoor maps for summer and winter. They contain reliabledata from official sources, OSM and the renowned OutdooractiveCartography Department.Voice navigation:Enjoy nature withoutconstantly checking your device. Thanks to our precise voicenavigation which will guide you safely to your desireddestination.Mountain hut directory:Browse our large hut directorycontaining location, opening hours, available beds and prices aswell as further info on many mountain huts. It has been created incooperation with the German and Austrian Alpine Associations aswell as the Alpine Club of South Tyrol.Safety features:Stay out ofthe danger zone thanks to safety features such as emergency call,peakfinder, compass, inclinometer, and barometer. Receiveup-to-date information on weather and current conditions on siteand send warning messages including photos to other users.Yourfavorites and personal map:Create your own list of favorites andmanage your tours within your personal map.Synchronization:Accessyour desktop-planned tours, trails and favorites with the app. Dueto the smart synchronization between app and outdooractive.com yourcontents are always up to date.Android Wear Support:Smart Watcheswith Android Wear support can be used for tracking your ownroutes.Important note:Continued use of the app with activated GPSin the background can dramatically reduce battery life.If you haveany questions or suggestions, please [email protected] you like Outdooractive Premium? Weappreciate your review. AppPet, um grande amigo do seu melhor amigo!!! Rede Social para aCausa Animal! Este espaço é para todos os amantes da causa animal,dedicado para todos compartilharem e discutirem sobre a causaanimal. Nessa rede social você poderá participar de grupos e fórunssobre adoção, pets perdidos, denúncias, petições, coisas belas ouengraçadas, etc. Perdeu seu cachorro ou gato? Com o AppPet ficoumuito mais fácil de você encontrar. Você entra, faz seu cadastro,coloca os dados do seu cão/gato perdido e pronto, estará visívelpara todo o brasil. No AppPet também se pode cadastrar os bichinhosque você quiser colocar para a adoção, aumentando a visibilidadedeles e não os deixando sem lar. ONGs podem se cadastrarem tambémgratuitamente, tornando seus serviços visível para o Brasilinteiro. AppPet, a best friend of your best friend !!! SocialNetwork for Animal Cause! This space is for all animal causelovers, dedicated for everyone to share and discuss about theanimal cause. In this social network you can participate in groupsand forums about adoption, lost pets, denunciations, petitions,beautiful or funny things, etc. Lost your dog or cat? With AppPetit's much easier to find. You enter, do your registration, put thedata of your lost dog / cat and ready, it will be visible for allBrazil. In AppPet you can also register the pets you want to put toadoption, increasing their visibility and not leaving themhomeless. NGOs can also register for free, making their servicesvisible to the whole of Brazil. Persib Lockscreen is an application to lock your phone screen, thisapplication uses a lock shaped zipper.How to use this applicationis very easy, you just install it and activate the screen lock.Byusing Persib Lockscreen application, make the screen display mobilephone becomes more cool and interesting.TAG:-Indonesia LockScreen-Sriwijaya Zipper Lock Screen-Pesib Bandung Zipper LockScreen-Football Zipper Lock Screen-Persebaya Zipper LockScreen-Persija Zipper Lock Screen-Bobotoh Wallpaper-The Jack ManiaLock Screen-Persija Lock screen-Persija Wallpaper-PersibWallpaperDISCLAIMER:This app is made by Persib Lockscreen, and itis unofficial. The content in this app is not affiliated with,endorsed, sponsored, or specifically approved by any Company. Allcopyright and trademarks are owned by their respective owners. Theimages in this application are collected from around the web, if weare in breach of Copyright, please let us know and it will beremoved as soon as possible. Cat Thing allows you to hear my interpretation of what a cat soundslike at the press of a button, it's just that easy! Press it asmany times as you like and enjoy a soothing cat noise. Simply pressthe "Press Me!" button.Enjoy! The application can conjugate all Spanish verbs at all tenseswithout Internet. It contains all the conjugation. If you misspella verb, El Conjugador proposes the nearest spelling. App containsan ad. Paid version is without ads. ¡El mejor y más completo portal WEB informativo del fútbolvenezolano llegó a Android!.ACTUALIZACIÓN: Versión 3.0:FIXTURE DELOS RESULTADOS DE LA ELIMINATORIA RUSSIA 2018¡Porque tú lo pediste!Ahora podrás seguir los juegos en vivo, ver la tabla de posiciones,de goleadores y más.Dentro de la aplicación también encontrarásinformación inmediata acerca de:* Todos los equipos de primeradivisión del torneo local en Venezuela. * La selección nacional demayores (La Vinotinto), femenina y categorías inferiores. *Vinotintos en el exterior. * Especiales* Noticiasinternacionales.The best and most complete information web portalVenezuelan football came to Android !.UPDATE: Version 3.0:FIXTUREOF THE RESULTS OF RUSSIA 2018 QualifyingBecause you asked! Now youcan follow the games live, see the standings, scoring andmore.Within the immediate application also you find informationabout:* All first division teams of the local tournament inVenezuela. * The national team of older (La Vinotinto), women andyouth teams. * Vinotintos abroad. * Special* International News. App to access Laneros.com, one of the biggest technology forums inLatin America.Browse forums, read news, write your posts andprivate messages, find out what's happening and receive real-timenotifications in your Android device.